Salusbury School and their architect had a dream. The dream was to change a dark, sometimes muddy corner of the playground into a more engaging play area for the children, but one that allowed the kid’s to stay clean so the school did not suffer. They contacted 4 companies to quote, one of which was Wonderlawn. During the discussions, we suggested adding some height and undulations to the site, challenging but really adding some interest. Before long it was clear that we were the only company with an interest in installing. Before: the muddy unusable playground. The existing area needed to be cleared sympathetically so that the tree’s remained and thrived. Once cleared there were a number of challenges. 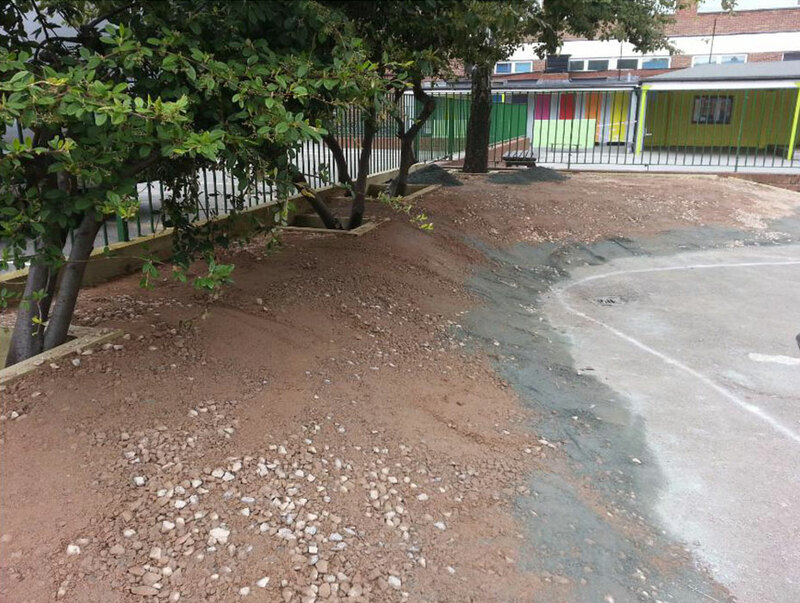 Raising the levels, retaining the material, protecting the tress and finally, providing a safe transition from grass to playground. 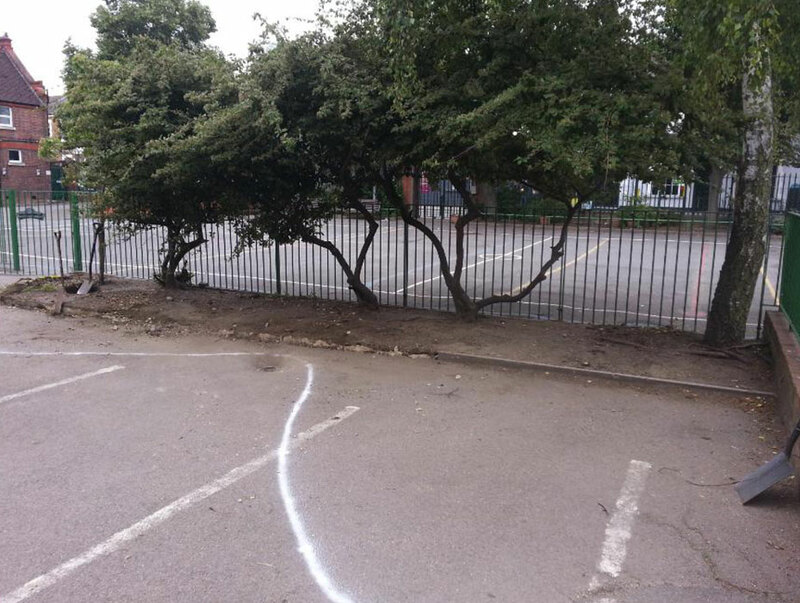 The area marked out to create a raised area for children to play on. Sleepers were used provide a wall in front of the railings and to create boxes around the tree’s. We then shaped 12 tonnes of stone to create the undulations, a little like “Telly Tubby” land. All of this is then finished, graded and compacted with crushed granite to provide the correct and stable base for our grass. 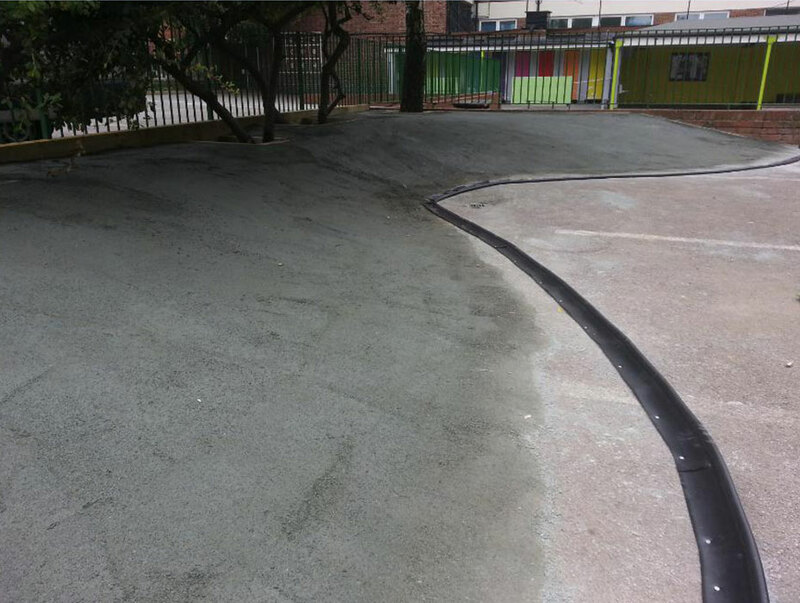 An edging was then fitted to the existing tarmac playground to separate the two areas, safely. After three days the work is finished and the “hills” are in. 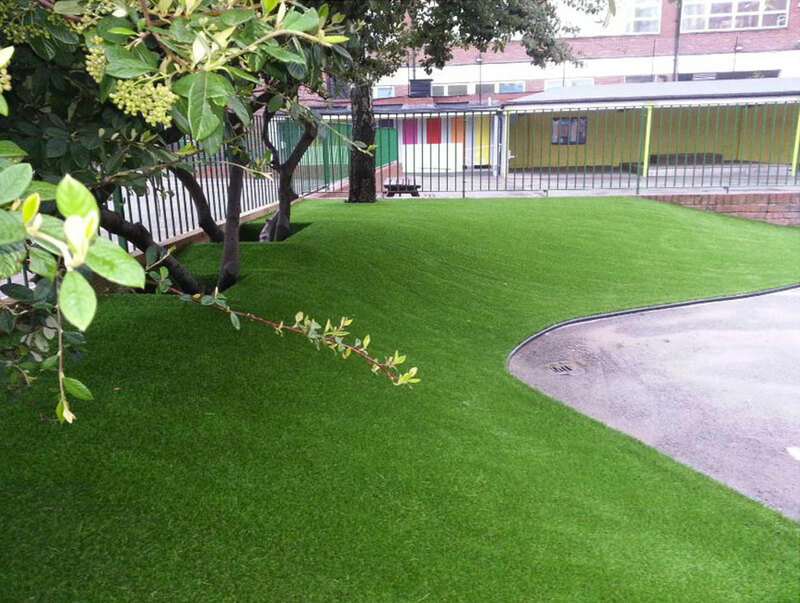 Whilst a complicated install, the combination of the Architects vision and Wonderlawn’s expertise has left the school and the kids with a vibrant area that’s fun and clean to use. Ps. 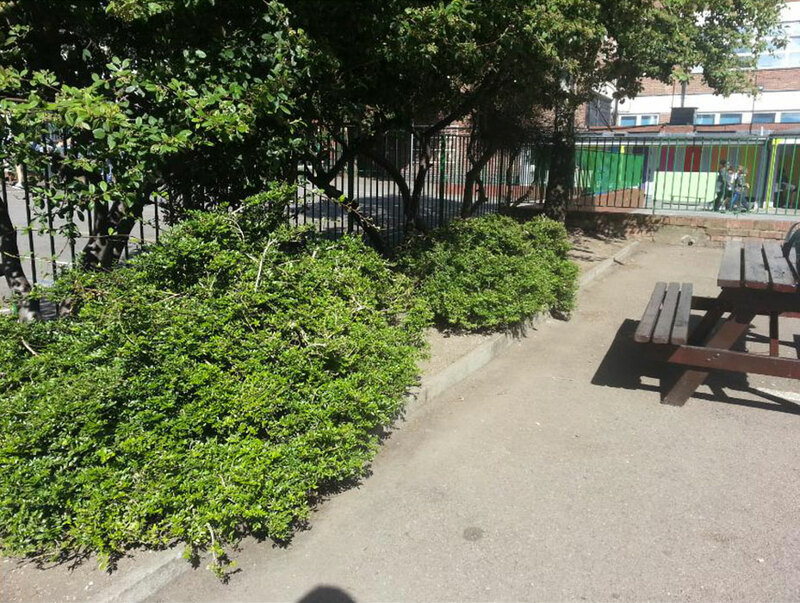 Since writing we have installed a second area on the other side of the playground and we are now in the process of designing some grass benches !